Everyone is busy today, start of a new week before shut down on the island when a good number of businesses actually completely shut down for a week or two in the height of the summer. I don’t quite understand it yet. It is a tradition I suppose which does not quite make sense for international trade where it is business as usual for the rest of the world. These are all the things that make it so different living on this island, the deep rooted traditions are still here….Long live the holiday spirit ! A very quick healthy supper for tonight. I found in one of the grocery stores on the island a herb mix in a packet labelled ‘Fileja Herb Mix’. I have tried the dish last week with spaghetti and it was devoured. I love the large rigatoni and I am going to simply cook them in plenty salted water, toss them in olive oil and serve with shavings of Parmesan. To accompany, we will have a large Mediterranean Salad with lots of capers and cherry tomatoes. Cook the Pasta in plenty salted water. Leave al dente. 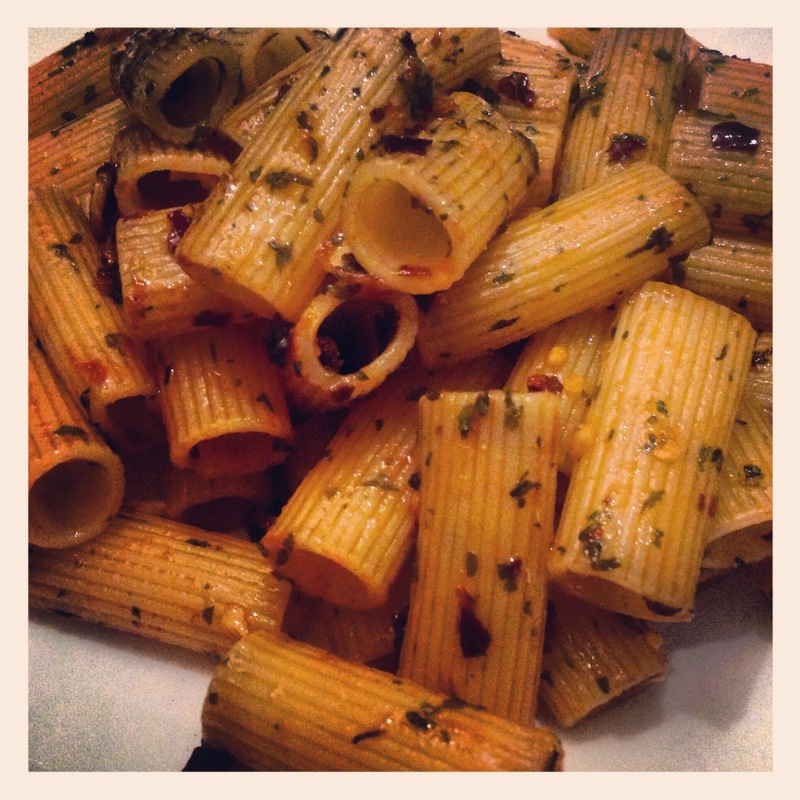 Drain, toss in olive oil and the Fileja mix and serve with shavings of Parmesan and freshly ground pepper. Do not add any more salt as the mix contains sun dried tomatoes which are already salty. Serve with a Salad of your choice. 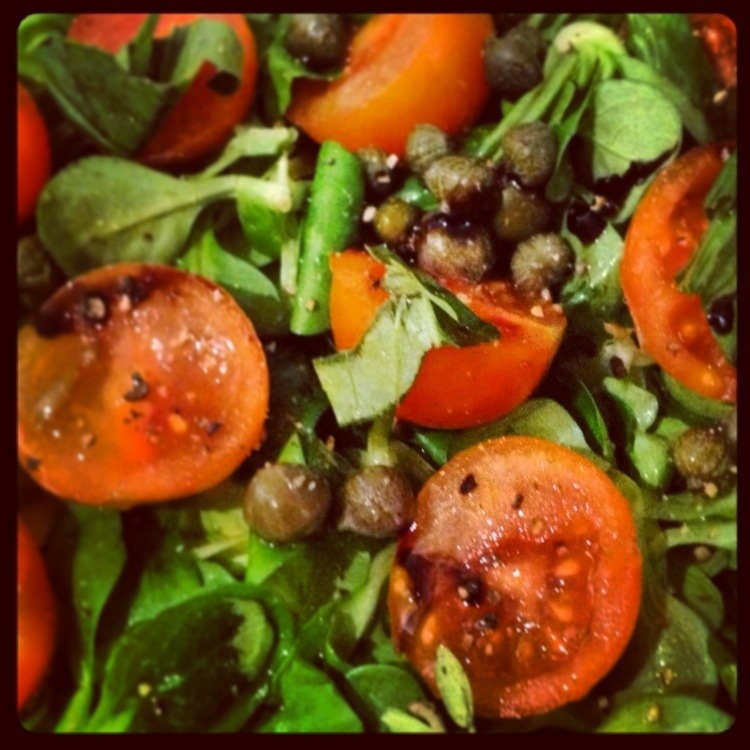 We are having the Mediterranean Salad which has been posted on my blog a few weeks ago….